Sridevi starrer MOM is one of amongst few profitable films in 2017! Cinema legend Sridevi’s 300th film titled MOM made headlines for several reasons. Apart from bringing together three heavyweight actors – Sridevi, Nawazuddin Siddiqui and Akshaye Khanna, the film opened to rave reviews with the trade and industry praising Sridevi’s choice of picking a bold and unconventional subject to mark 50 years of her successful film career. Directed by Ravi Udyawar, with music by A R Rahman, MOM apart from making an impact in India, also created ripples internationally and was even screened to qualify for the 75th Golden Globe Awards in the foreign film category. 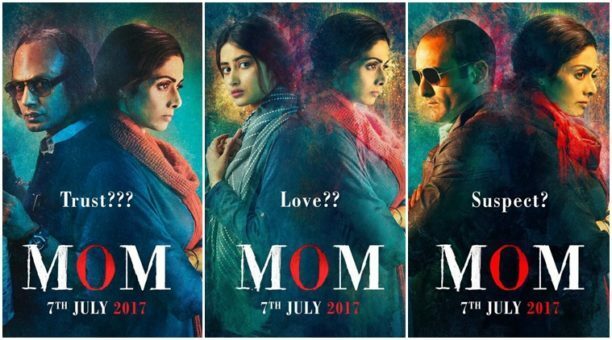 Apart from being a game-changing film for the industry, MOM also went on to become one of the few profitable films this year as the film was made and promoted in approximately 46 cr and will go on to collect more than 54 crores from its domestic and overseas box office, satellite, digital &audio rights including in-film branding. The film is yet to monitize its Malayalam satellite and 4 language- Doordarshan rights as well as collections from non traditional overseas territories like Japan, Russia, Poland and Turkey among others. 16 queries in 0.492 seconds.